The next workshops introducing analog photography and the StattLab darkroom is set for Tuesday, May 19th at 15:00, with a follow up workshop one week later on May 26th at 15:00. For the first workshop, participants are expected to bring an already exposed roll of black and white process film, like Tri-X or Agfa APX. After an introduction to our space, the analog process and the chemistry, we will process the film together in StattLab’s darkroom. After the film dries off, we will make contact sheets, a sort of analog thumbnail of the negatives. The next workshop on May 26th is dedicated to making a print from the negative in the darkroom by using an enlarger, the basic method of silver gelatin process photography. By the end of this second workshop, participants will feel comfortable enlarging their own negatives in our darkroom. The price for the two workshops together is 50€, including all materials except the roll of film. It is also possible to borrow a camera in advance of the workshop. Please send a mail to sign up or for more information. All workshops take place at StattLab in the building of StattBad Wedding, Gerichtstr. 65 13347 Berlin. After participating in these introductory workshops, you are welcome to come to our open Thursday evening “Printing and Beer” sessions. Taking place every Thursday night, the darkroom gets visitors who are not members of the space but still want to work their way deeper into analog photography. These evenings are 20€, bring your own paper. In addition, intermediate courses and workshops are offered from time to time. Check back here or swing over to StattLab.net for more info! 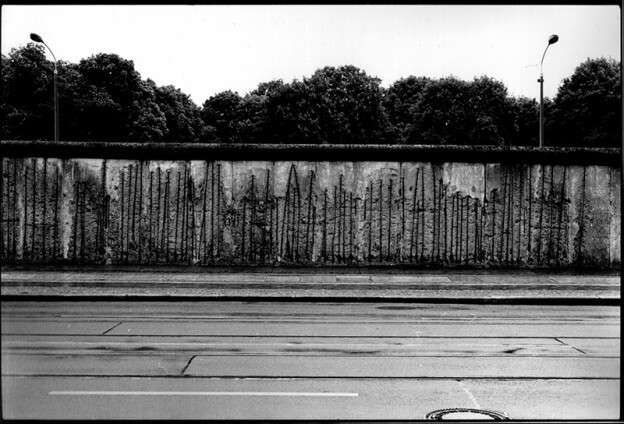 This entry was posted in black and white, courses, Dakroom, film on May 12, 2015 by Analog Photography Berlin. Better late than never: announcing a workshop tomorrow, Sunday 9 March at 13:00! This is a beginner’s workshop to learn how to expose and develop black and white film. The workshop is held in Friedrichshain an costs 20€ including the chemicals. Bring a camera and film if you have it, otherwise just bring yourself! 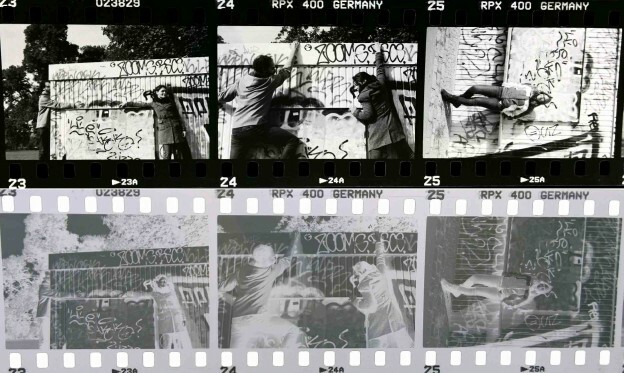 This entry was posted in courses, Dakroom, film on March 8, 2014 by Analog Photography Berlin. Ready to Sign Up? Just send me an email. This entry was posted in courses, Dakroom, film and tagged analog photography workshop, berlin, develop film, Friedrichshain, workshop on October 8, 2013 by Analog Photography Berlin. 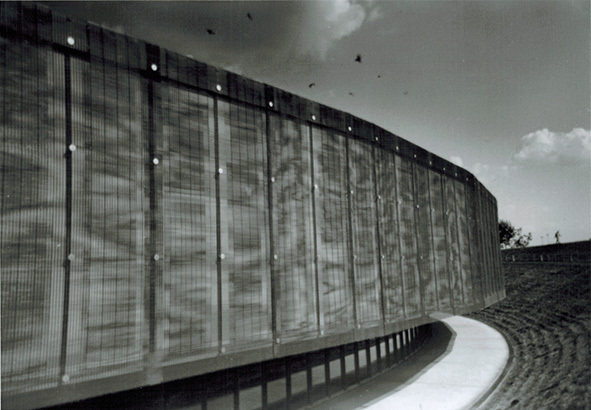 The first step to working in a darkroom is learning to develop your own black and white film. Sure, you can bring your exposed film to a shop to be developed, but you loose a lot of control – and it is very expensive. The chemistry costs about a dollar or a euro for each roll of film, you get to try out lots of things, and its fun. Working in the darkroom is sometimes like cooking and sometimes like baking, but it is always like being in the kitchen, except the lights are a bit dimmer. The main piece of equipment you’ll need to develop your own black and white film is a development tank. You can get one from Fotoimpex in Germany or Adorama in the U.S., for $30. You can also buy larger or more expensive film tanks from Jobo or Paterson, for hand development I like the cheaper version because it is often easier to get the film on. A thermometer is needed too, because the chemistry should be quite close to 20C/68F. Then you need a developer (ID-11 or Rodinal are good for getting started), a stop bath, and a fixer. The most important thing in developing your own film in the darkroom is consistency. For example: it is OK if your developer is half a degree warm, as long as it is always half a degree warm. Your negatives would be more contrasty than “normal”, but you could reduce the time instead, or print differently. Also, you have to load the film in complete darkness. Red light will destroy undeveloped film, too. If you are going to shoot film, learning to develop your own film is a joy, economical, and gives artistic control. This entry was posted in black and white, Dakroom, film and tagged black and white, darkroom, develop film on June 25, 2013 by Analog Photography Berlin. The easiest way to get more out of black and white film for your darkroom experimenting is to use medium format film. Medium format is sold as “120 Roll Film”. Developing medium format film in the darkroom is the same as 35mm format, but the film is way broader, making it easier to handle. If you have a developing tank big enough to handle two rolls of 35mm film, it can probably handle one roll of 120 film. Different cameras give you a different size negative, and different format. 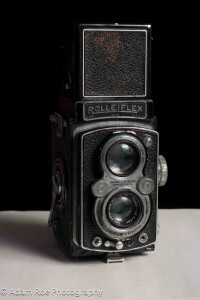 The classic medium format size is 6x6cm (2 1/4 square inch), which you get with most Rolleiflex and Hasselblad cameras. Or with a Holga. Mamiya makes a bunch of cameras that shoot 6×4.5cm or 6x7cm. There are plenty of others. A Holga is the cheapest way to jump in the game. A few weeks ago I bought a perfectly functional Rolleicord (6x6cm) for 40€ from a shop. 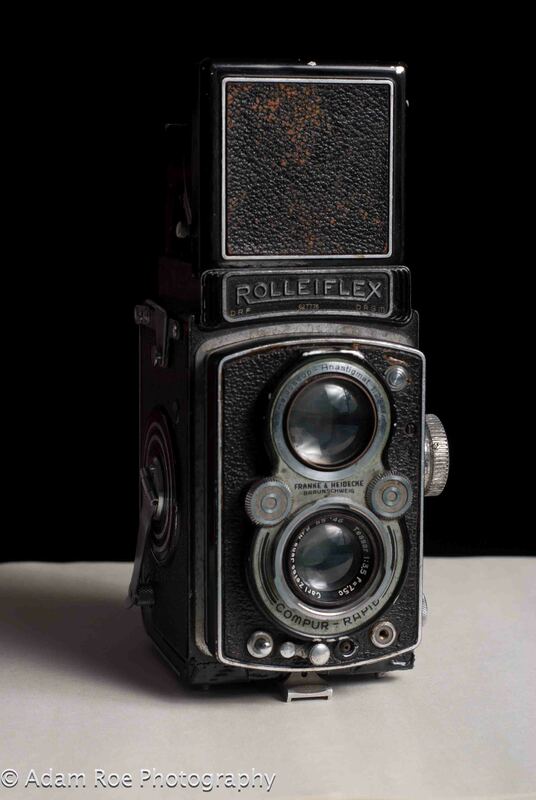 Why medium format? Because the negative is bigger, way bigger. Going from 35mm (2.4×3.6mm) up to 120 (say, 6x6cm) roughly triples the size. If you are thinking digital, it is not at all like going from a smaller sensor to a larger one. It is like tripling the number of megapixels and sensor size at the same time. I enlarge ISO 400 negatives shot on HP5+ in my darkroom up to 30x30cm all the time and get no grain whatsoever. Perfect resolution. This gives you a lot more room to play. If the exposure is off, or there are a lot of highlights or shadows in your picture, you can get more out of the negative without loosing quality. It like shooting with a state of the art digital camera. Indeed, I find I can get more tonal range on HP5+ film shot at 400 than I can with my Nikon D800 at 400, similar to what I get shooting digitally at 100. This entry was posted in black and white, film and tagged black and white, darkroom, develop film, HP5, medium format on June 24, 2013 by Analog Photography Berlin.